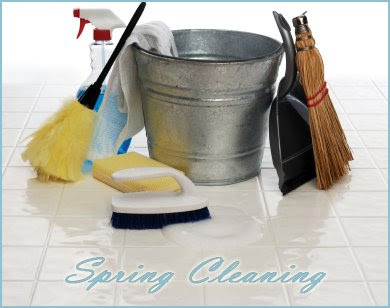 've been busy with so many little things that I haven't gotten a chance to get started on my spring cleaning. I'm getting started this week, definitely won't be done by the first day of spring! However, I'm hoping by the end of March. I also put the list in my left sidebar, I'll mark off as I complete items there. I only have a few hours after work during the week and I need some me and blogging time as well, so don't expect too much to get done on weekdays! Ah spring. If I clean will you come sooner? Definitely! ;) Photos will be up for sure! Blaze: We can only hope! Glad to hear it, I know some art shows don't like people taking photos :) I hope it goes well for you though! Looks like you're going to be quite busy! What a comprehensive list! I'm just grateful that there's a few things on your list I don't have to do although I have a few that you don't. I have to watch for snakes & get the dogs to the vet for their annual snake bite anti-venom shot & get the pool opened, cleaned & chemically treated. Plus no screens to change out; too many dust storms! I think you're supposed to do this spring cleaning business at my house!